This seems to be the only way for her to cope with her low approval ratings. Yesterday, a Quinnipiac poll was released that found that only 23% of Americans have a favorable view of her while 36% have an unfavorable view, giving her a –13% overall approval rating. A Gallup poll released last week found her approval ratings similarly underwater. 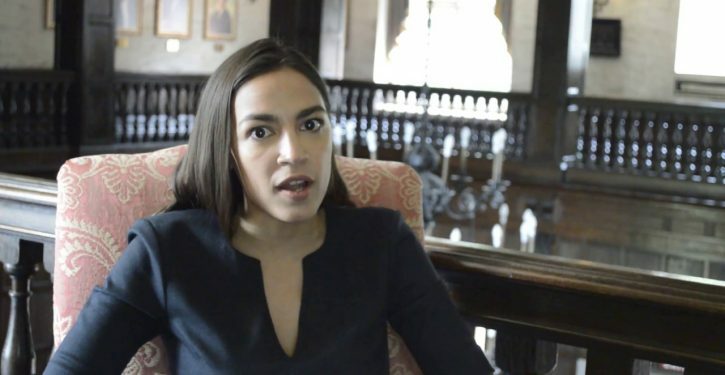 While some Democrats are trying to prop her up and give her positive feedback over the likes of her ludicrous $93 trillion Green New Deal, the party has to be aware on some level of Ocasio-Cortez's potential to be an enormous liability for them. The problem isn't so much that she is new on the job as it is her utter cluelessness on the way government — and, for that matter, life — works. Clean Energy Plan: Windfall for the EPA's Billionaires Club! Will Presidential Debate question EPA's "Non-profit" Partnerships?